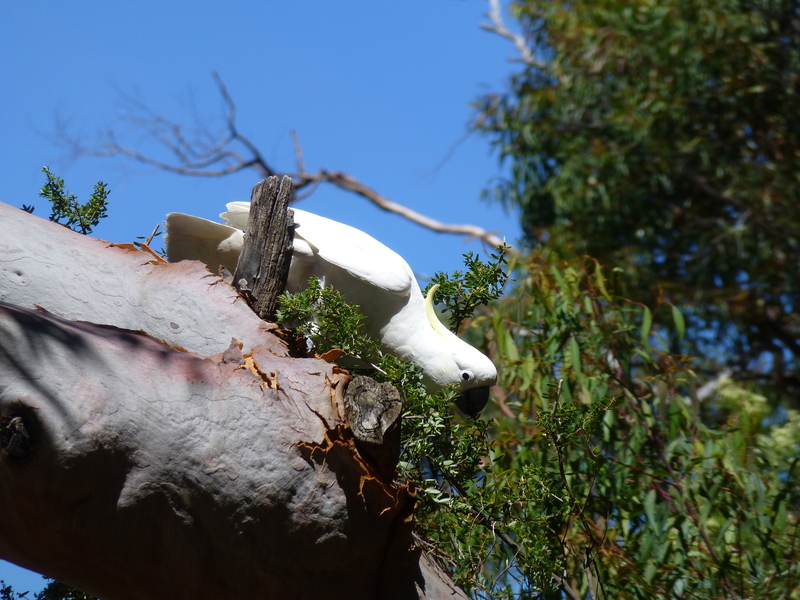 This inquisitive Cockatoo has chosen well his vantage point. If only he could talk, what fun we could have! But nevertheless, just to see him makes my day.